Treating the environment with respect is something that I have always been very conscious of. I throw away as little as possible, separate my recyclables, return beverage containers and turn off lights when I’m not in a room. There is absolutely nothing that grates on me more than idling vehicles spewing their fumes into the clean air we breathe! However, living in a metropolitan area, composting is an endeavour that’s not easily accomplished. Food scraps and organic waste account for a large portion of what gets thrown away into landfills each and every day. 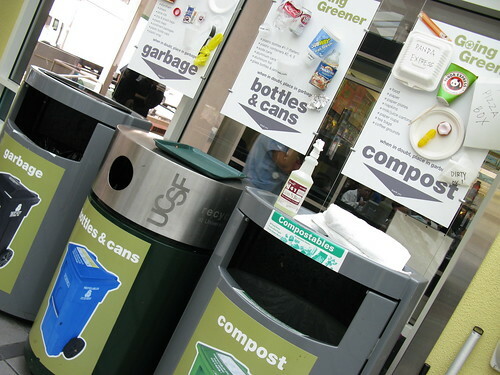 The fact of the matter is that city recycling programs are, for the most part, not set up to incorporate in-city composting or compost pick-up. The City of Nanaimo has long been a proud pioneer of green living on Vancouver Island and recently Woodgrove Centre took the initiative to including composting in their waste reduction program. The food court now prominently displays a number of organic composting stations in what they call the “Fishsticks to Chopsticks” part of their waste reduction plan. Being a good steward in our communities begins at home – and apparently in our malls as well! What are some of your best tips on being environmentally friendly?